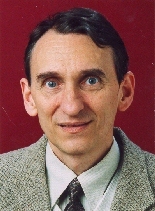 Journal of Computational Management Science (CMS), Springer Verlag, Heidelberg. See "Call for Papers" here. Maros I, A Piecewise Linear Dual Phase-1 Algorithm for the Simplex Method, Computational Optimization and Applications, 26(2003), pp. 63 to 81. Maros I, A General Pricing Scheme for the Simplex Method, Annals of Operations Research, Kluwer Academic Publishers, 124(2003), pp. 193 to 203. Maros I, A Generalized Dual Phase-2 Simplex Algorithm, European Journal of Operational Research, 149(2003), pp. 1 to 16. Gulpinar N, Mitra G and Maros I, Creating Advanced Bases for Linear Programs Exploiting Embedded Network Structure, Computational Optimization and Applications, 21(2002), pp. 71 to 93. Maros I and Khaliq M H, Advances in Design and Implementation of Optimization Software, European Journal of Operational Research, 140(2002), pp. 322 to 337. Akrotirianakis I, Maros I and Rustem B, An Outer Approximation Based Branch and Cut Algorithm for Convex 0-1 MINLP Problems, Optimization Methods and Software, 16(2001), pp. 21 to 47. Maros I and Thielemans K, PET Image reconstruction by vector norm optimization, Proceedings of MIAR 2001, Medical Imaging and Augmented Reality, IEEE Computer Society, 2001, pp. 152 to 156. Gulpinar N, Gutin G, Mitra G and Maros I, Detecting Embedded Networks in LP Using GUB Structures and Independent Set Algorithms, Computational Optimization and Applications, 15 (2000), pp. 235 to 247. Maros I and Mitra G, Investigating the sparse simplex method on a distributed memory multiprocessor, Parallel Computing, 26(2000), pp. 151 to 170. Maros I and Mészáros C, A repository of convex quadratic programming problems, Optimization Methods and Software, 11&12 (1999), pp. 671 to 681. Maros I and Mitra G, Strategies for creating advanced bases for large-scale linear programming problems, INFORMS Journal on Computing, 10(1998), pp. 248 to 260. Maros I and Mészáros C, The role of the augmented system in interior point methods, European Journal of Operational Research, 107 (1998), pp. 720 to 736. Maros I, A Piecewise Linear Dual Procedure in Mixed Integer Programming, in Schaible, Komlosi (Eds. ), New Trends in Mathematical Programming, Kluwer Academic Publishers, 1998, pp. 159 to 170. Maros I and Mitra G, Simplex Algorithms, Chapter 1 in Beasley J. (ed.) Advances in Linear and Integer Programming, Oxford University Press, 1996, pp. 1 to 46. Maros I and Mitra G, Finding Better Starting Bases for the Simplex Method, in Kleinschmidt, P. et al. (eds.) Operations Research Proceedings 1995, Springer Verlag, 1996, pp. 7 to 12. Ruuth S, Lucas C, Maros I and Mitra G, Solution of a nonlinear robot assignment problem, in E. Matson (ed. ): Essays in honour of Bjorn Nygreen on his 50th birthday, Department of Managerial Economics and Operations Research, Norwegian University of Science and Technology, Trondheim, Norway, 1996, pp. 49 to 60. Maros I and Mészáros C, A Numerically Exact Implementation of the Simplex Method, Annals of Operations Research, Baltzer Science Publishers, 58(1995), pp. 3 to 17. Ellison E F D., Hajian M, Levkovitz R, Maros I, Mitra G and Sayers D, FortMP Manual, Department of Mathematics and Statistics, Brunel University, West London, and NAG, Oxford, May 1994. Maros I, A Practical Anti-Degeneracy Row Selection Technique in Network Linear Programming, Annals of Operations Research, Baltzer Science Publishers, 47(1993), pp. 431 to 442. Ezechukwu O C and Maros I, OOF: Open Optimization Framework, DoC Departmental Technical Reports, 2003/7, Imperial College, London, 2003. Maros I, An Enhanced Piecewise Linear Dual Phase-1 Algorithm for the Simplex Method, DoC Departmental Technical Reports, 2002/15, Imperial College, London, 2002. Maros I, A General Pricing Scheme for the Simplex Method, DoC Departmental Technical Reports, 2001/3, Imperial College, London, 2001. Maros I, A Generalized Dual Phase-2 Simplex Algorithm, DoC Departmental Technical Reports, 2001/2, Imperial College, London, 2001. Maros I and Mészáros C, Vector norm minimization approaches to image reconstruction problems, TR/09/95, Department of Mathematics and Statistics, Brunel University, West London, April 1995. Maros I and Mészáros C,The practical linear algebra of interior point methods for linear programming, TR/10/95, Department of Mathematics and Statistics, Brunel University, West London, April 1995.